If there is a word to describe the musical “On Your Feet,” onstage through Sunday at the Walton Arts Center, it’s probably this one: relentless. 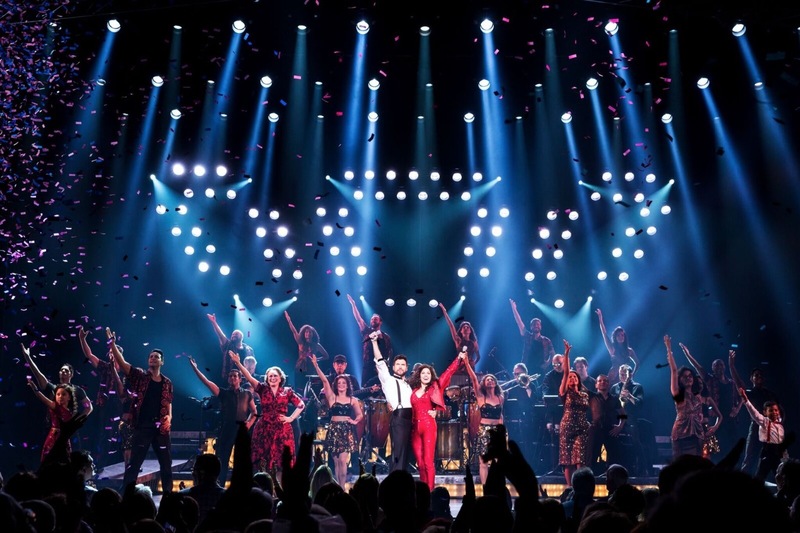 The musical, which ran on Broadway from November 2015 to October 2017, is an onslaught of rhythm and dance and colorful outfits, all surging together at once. There’s rarely a moment to catch your breath. Patrons of the show are encouraged to bring new or gently used winter coats, purses and dress shoes to the Walton Arts Center during the show’s run. All donations will be given to Dress for Success, an international nonprofit organization that provides programming and professional attire for women looking to enter the job market. That’s an accurate description of the musical’s subject matter as well. “On Your Feet” dives into the story of music icons Gloria and Emilio Estefan, two Cuban-American immigrants who topped the charts with hits such as “Conga,” “1-2-3” and “Rhythm Is Gonna Get You.” All of those songs are included in the tale, a jukebox musical that follows the beginning of the Miami Sound Machine and Gloria’s career both before and after the tour bus accident that nearly claimed her ability to walk. That accident, in early 1990, did not end Estefan’s career, though it might have thwarted a less relentless person. At the time of the accident, she was one of the biggest stars in the world (bigger than Madonna, the musical claims), and I remember hearing breaking news updates about the incident. The show takes us to the fateful bus trip, but also to airports in Spain, pre-Castro Cuba, and the stage of the American Music Awards, where she made her official comeback after the accident. The musical runs cleanly through these events, playing out mostly in chronological order from the mid-1980s to that comeback. 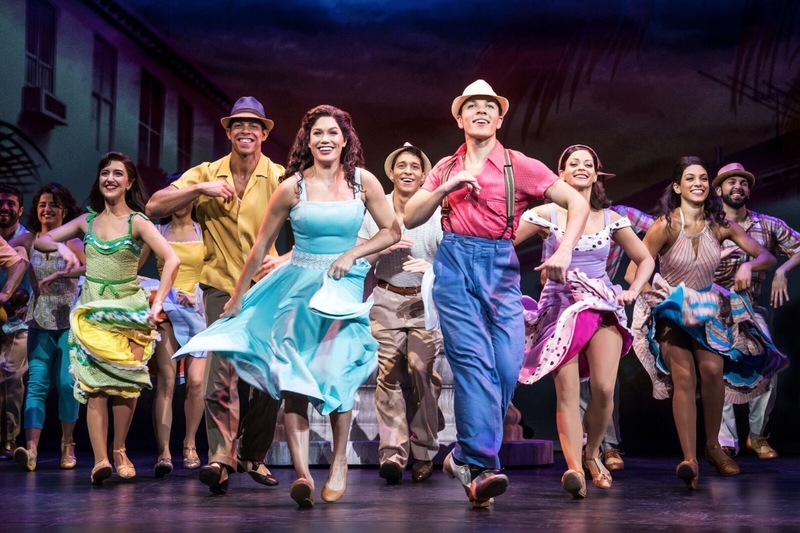 The musical dances with some of the weightier issues that underpin the Estefans’ story, such as the Cuban revolution that forced their families to flee to Miami and the struggles of being an immigrant in America. Emilio angrily tells a record producer that he is as American as anyone else living in the country. It drew a bit of a cheer from the audience, but this is a light-hearted show and the mood was soon abandoned for another flurry of drumming and dancing. It’s not without drama, however. Gloria’s success puts a strain on her family, and Emilio pushes his wife and the band to their breaking points with a nonstop pursuit of his goals. Christie Prades (who plays Gloria) and Mauricio Martinez (Emilio) both do a fine job in their lead roles. The supporting cast and ensemble all seemed to be in sync Tuesday as well. A note of credit to the casting agents and directors of the play is probably warranted here as well. In a time where we frequently hear criticism of entertainment providers who whitewash the cast, this particular roster of performers is filled with Hispanic talent. “On Your Feet” had a successful Broadway run by all measures but was most lauded for its dance sequences. After seeing the show for the first time, it’s pretty clear why that’s the case. The show is constant motion, with a dance-happy ensemble. My favorite of the dances was a raucous tap sequence during which the cast members wore sandals. Their stomping noises became part of the beat itself; I found it fun and quite innovative. Other dance sequences deserve attention as well. Also deserving of praise the full Cuban jazz band, which performed the songs from a large moving platform that alternated between the front of the stage and in the background. Five of the orchestra members played with the actual Miami Sound Machine. The band is legit. “On Your Feet” isn’t the kind of musical that changes your life. But as a lesson in persistence and the power of music, it works. That rhythm will get you, as the song goes.